On Friday10th February, we are joining thousands of other schools, businesses and choirs across the UK and abroad, to sign and sing for SignHealth; who are a national charity, dedicated to improving healthcare and achieving equal access for deaf people. We are all learning this year’s song ‘Together’ along with British Sign Language actions which have been put on our web site so children can practice at home! 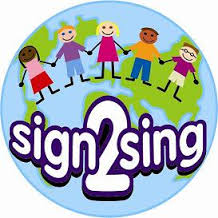 For more information about sign2sing and the song your child is learning, please visit www.sign2sing.org.uk.